Jordan wasn't just the biggest star in the NBA, he was the biggest star in sports. It's easy to smile when you've accomplished what he has. Who do you think is the greatest NBA player? For me its Jordan. You give your answer and then are bombarded by why you are wrong. We’ve all been there. It’s the way of the world. It’s a fun question to answer and leads to great debates. It’s a conversation starter. Truly, there is no wrong answer to the question. It’s all subjective. Experts will tell you their answers are objective and fans are irrational. I hope no one believes the media is objective. People will tell you there is no media bias. When I say people, I mean the media. That’s a joke and a post for another day. Someone recently asked me, who do you think is the greatest basketball player of all time. I replied the greatest player I’ve ever seen was Michael Jordan. I was then told that’s the wrong answer. I stand by my answer. Look at how I phrased it, the greatest player I’ve ever seen. I’m aware of all the other players that people will name. My answer will always be Michael Jordan. Again, look at what I said, the greatest player I’ve ever seen. I’m sorry for repeating myself. This guy kept missing that point and I don’t want to get that lost in this post. How can you consider someone great when you've never seen them play? Bill Russell and Wilt Chamberlain are at the top of any NBA greatest player list. I’ve never seen them play. I’ve been told they were great. I’ve seen the footage and the stats. That’s not good enough for me. I don’t doubt that they are the greatest. I just don’t know that because I didn’t get to see them play. Who am I to make that distinction? I’m not saying I’m an expert. I’m just a sports fan with an opinion. In my years of watching the NBA, Michael Jordan has by far been the greatest I’ve ever seen. Why do people get angry when Jordan is considered the greatest? Calling Michael Jordan the greatest just seems to anger a lot of basketball fans. Mainly because they can’t separate their personal feelings from Jordan’s game. Jordan rubbed people the wrong way. He was and is extremely confident in his abilities. He wasn’t humble enough for people. People should not factor that in when discussing his talent. I think that’s the root of why people get so annoyed when he is considered the best. They believe Jordan was a hype machine promoted by Nike. Even though they fail to realize Michael Jordan and Bo Jackson put Nike on the map. Actually, they propelled them to number one status with a bullet. That’s a whole separate debate. People forget for a short period of time Bo Jackson was just as big a star as Jordan. Bo Jackson is a story for another day as well. How do you determine who is the best NBA player? Is it statistics, championships or MVPs? So in the whole who is the best argument, statistics are the first example used to prove one’s point. Numbers do lie. Baseball fans would disagree, but the stats tell part of the story. Then you get the championships argument, which like the statistical argument, people hang their hats on. Championships are misleading because playing on a team loaded with talent doesn’t make you great. Robert Horry has more championships than Michael Jordan. Does anyone think he’s a better player? Of course not. Horry is a great role player. Michael Jordan is a great player. No arguments from anyone there. It’s an example of how the championship argument is flawed. There are many reasons why I believe Michael Jordan is the greatest basketball player I’ve ever seen. For starters, he is the most amazing player I’ve ever seen. At times it seemed like Jordan defied the laws of gravity. I had to stop and watch if he was playing on tv. I don’t know if I can say that about any player I’ve seen other than Jordan. He was accurate shooter, great passer and could handle the ball. He was one of the best in making game winning shots. He thrived in pressure situations. He lived for the big moment. Jordan played both sides of the ball well. It was rare for great scorers to be great defenders. He was almost as good on defense as he was on offense. There aren't many stat geeks associated with basketball. 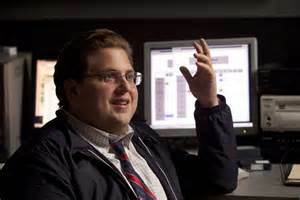 So I used one of baseballs stat geeks from Moneyball played by Jonah Hill. So what are his stats? We have to talk about that because it’s the basis of everyone’s argument. Jordan averaged 30 points, 6 rebounds, 5 assists, 2 steals and 1 block per game. Think about that for a second. The points per game are amazing, but he was a shooting guard and expected to score. How many shooting guards averaged 6 rebounds per game? Not many folks. To be honest, not many shooting guards were interested in going down In the paint and battling the big boys, but Jordan was fearless. Let’s not ignore the 5 assist per game. Many people believe Jordan was selfish. Which is untrue. Was he a hot dog early in his career? Yes, but he was not opposed to sharing the wealth. In the 1993 Finals, with time running down Jordan passed to John Paxson, who hit the game winning 3 for the championship. Then again in the 1996 finals, with the clock running down, he passed to Steve Kerr for the game winning shot and the championship. He was always focused on winning. Did he want the final shot? Of course he did, he is an intense competitor, but he didn’t let his ego get in the way of passing to wide open shooters. A guy that is selfish doesn’t average 5 assist per game. A good point guard averages around 7 assists per game. A great point guard averages 10 or more. So when your high scoring shooting guard is getting 5 assists per game it's a good indicator of getting teammates involved. History has shown us scorers like Jordan usually don’t commit on defense. Again for all you stat geeks, he averaged 2 steals and 1 block per game. Oh yeah, he was also Defensive Player of the Year in 1988 and was voted 9 times to the All Defensive First team in his career. Let’s move on. 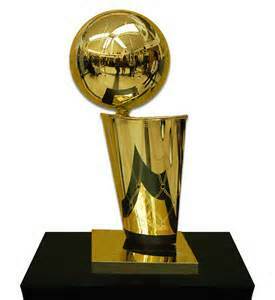 Larry O'Brien Championship Trophy. Jordan helped the Bulls win 6 of these. It's hard enough getting one ring. Michael won 6. He enjoyed beating and keeping his friends from winning titles. He often reminds Charles Barkley and Patrick Ewing of that fact. So you are one of those people who view championships as the ultimate test of greatness. Even though we all know there are guys on championship teams that weren’t great. Steve Kerr, Craig Hodges and John Paxson were all role players for the Bulls. All have multiple championships. None are considered great. 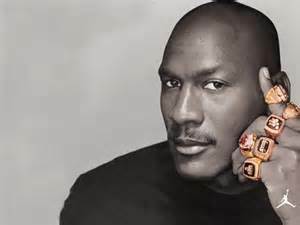 Jordan has 6 NBA titles to go with his impressive stats. In each one of those championship seasons, he was the Finals MVP. The Finals MVP is not really a measurable award because it didn’t start until 1969, which is the year Bill Russell retired. I’m sure Russell would have the award a lot in the Finals. Jordan’s 6 Finals MVPs are more than any player. He has won it 3 straight times twice. Shaquille O’Neal is the only other player to win the award 3 times in a row. If Jerry West is the logo, then Jordan has to be the MVP. Jordan winning one of his 5 Most Valuable Player awards. 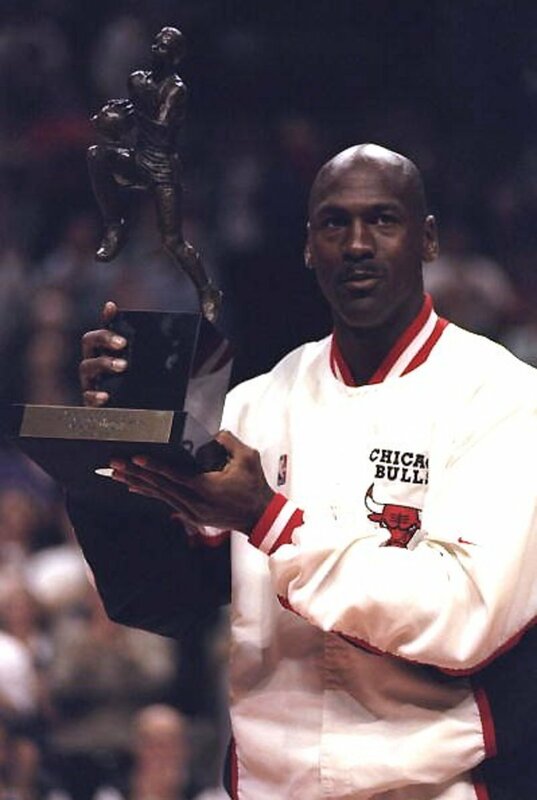 Jordan won the regular season MVP 5 times. It’s not the most but it’s pretty high on the list. Kareem Abdul Jabbar won it 6 times. Bill Russell won it 5 times. Wilt Chamberlain won it 4 times. Magic Johnson, Larry Bird and Moses Malone all attained it 3 times. Lebron James has been the MVP 4 times and after this year it could be 5 times. We’ll have to wait and see on that. It’s a high honor, but even the regular season MVP is suspect at best. Usually it goes to the best player on the best team. I’m a huge fan of Charles Barkley and Karl Malone but, the years that they won could have easily gone to Jordan. That’s not a knock on Barkley or Malone. They are great players in my opinion. They and their teams had outstanding seasons, but so did Jordan. It’s not crazy to think voters were having a Jordan hangover. He was winning everything at that time. Steve Nash has won it twice and will never come up in this conversation. He was a good a player not a great player. He played at a high level for a short period of time. I left off All Star appearances. It’s voted on by the fans and its more a popularity event more so than an acknowledgement of greatness. Let’s talk about the players often brought up against Jordan as the best ever. Bill Russell, Wilt Chamberlain, Jerry West, Kareem Abdul Jabbar, Magic Johnson, Larry Bird, Oscar Robertson, Julius (Dr. J) Irving, Bob Cousy, (Pistol) Pete Maravich, Isiah Thomas, Lebron James and Kobe Bryant to name a few. I’m sure I’ve left players off the list, but you get the point. I never saw Bill Russell, Wilt Chamberlain, Jerry West, Bob Cousy, Pistol Pete and Oscar Robertson play. I respect their greatness and places in history. I did see Kareem and Dr. J play, but it was in the latter stages of their career. They were amazing, but I feel I missed some of the best parts of their career. You have to be impressed with their accomplishments and they deserve to be in the conversation. I love Magic and Bird. In my opinion they are not better than Jordan. These two are easily in my top 5. To be honest, they are actually number 2 and 3. People love to tell me that they are better and Jordan couldn’t win without Scottie Pippen. Pippen was definitely talented and yes, he played a big part in the Bulls championships. But if Michael wasn’t there, Scottie Pippen would be just another basketball player. Pippen played great that first year without Jordan, but the Bulls were bounced in second round of the playoffs. That is also the series where Pippen refused to go into a game because the play designed, wasn’t going to him. That is selfish people. 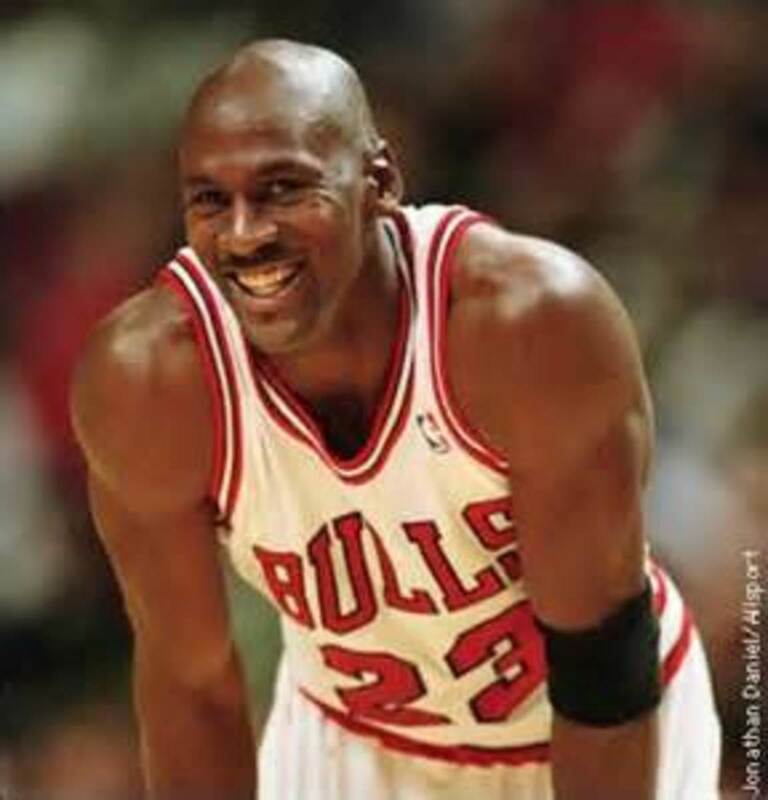 Jordan passed the ball twice in the Finals that led to game winning shots. He wanted to win, but he didn’t have to take the last shot. He even told Steve Kerr if they double me, I’m coming to you, so be ready. Pippen sat on the bench pouted and the Bulls won without him. Toni Kukoc hit the winning shot. Jordan comes back two years later and the Bulls win 3 more titles, case closed. Magic and Bird are two of the greatest ever. They were fierce competitors who hated each other until they did a commercial together. Magic and Bird fans love playing that Pippen card in the discussion. The Bulls were hot garbage before Michael Jordan got there. 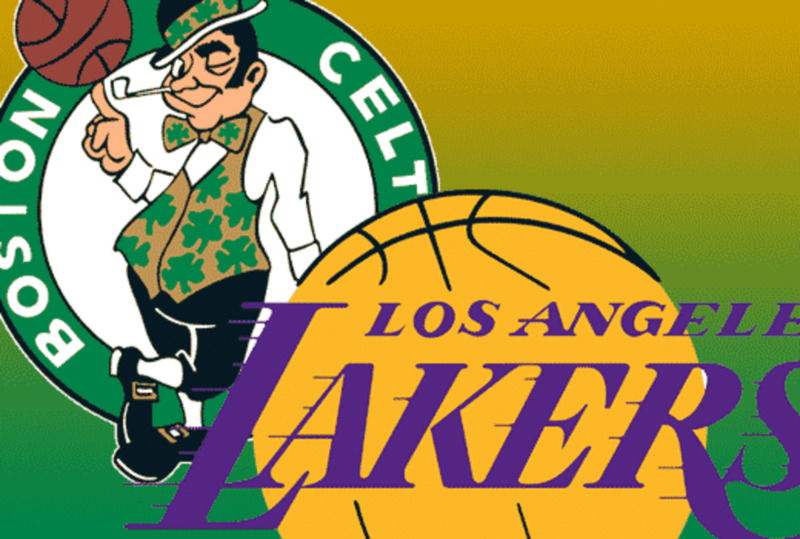 It's easy to forget that those Lakers and Celtics teams had stars before they got there. Magic and Bird put them over the top. 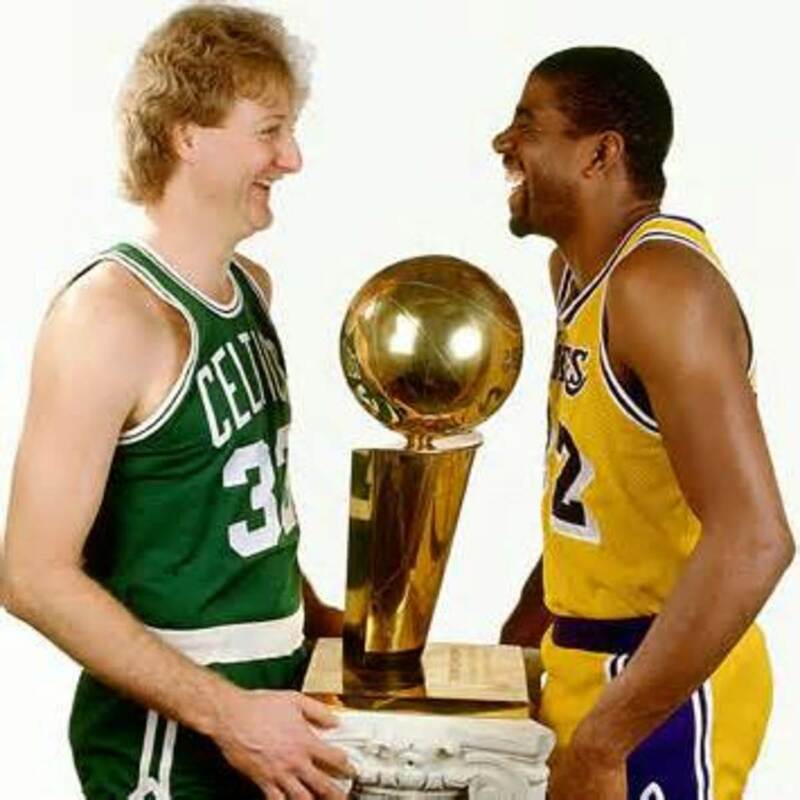 Don’t forget Magic and Bird played on teams that were loaded. They both played with a ton of Hall of Famers. The only Hall of Famers Jordan played with were Scottie Pippen and Dennis Rodman. Oh yeah, and Robert Parrish, Artis Gilmore and George Gervin at the end of their careers. Magic had Kareem, James Worthy, Bob McAdoo, and Jamal Wilkes. 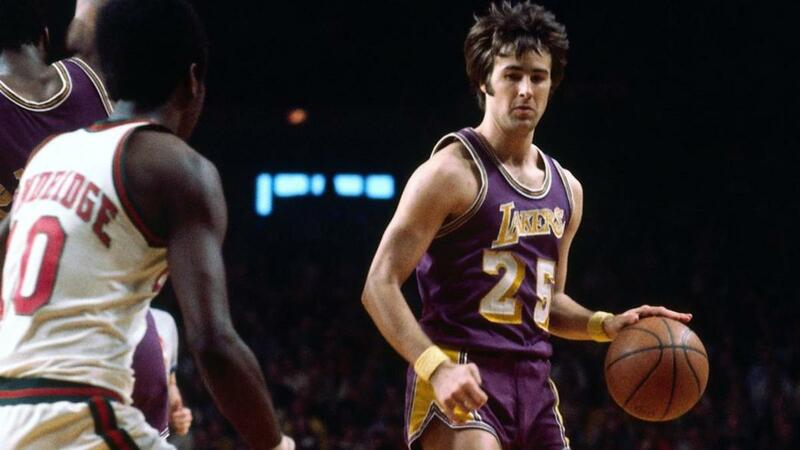 Not to mention solid players like Byron Scott, Norm Nixon, A.C. Green, and Michael Cooper, The Lakers are one of the signature NBA franchises and had guys who were talented, but not Hall of Famers. The same can be said for the Boston Celtics. The top franchise in NBA history. Larry Bird had Nate (Tiny) Archibald, Kevin McHale, Robert Parrish, Dennis Johnson, Dave Cowens and Bill Walton. Bird also played with solid guys like Danny Ainge, Gerald Henderson, Quinn Buckner and Cedric Maxwell. Maxwell was the Finals MVP when Bird won his first title. Magic and Bird weren’t winning titles on their own. No one can. It takes a team to win championships. It’s cliché but it’s true. If you look at the talent on the teams Magic, Bird and Jordan played on. Magic and Bird’s teams easily had more overall talent than Jordan's. That doesn’t take away from their greatness, but lets not act like they played with bums. I’m sure people reading this will say what about Horace Grant, BJ Armstrong, Ron Harper, Toni Kukoc and John Paxon for the Bulls. Bringing them up only strengthens my point of needing a team to win championships. People often bring up Magic Johnson and Larry Bird as better players than Jordan. They played in the same era. Magic and Bird’s career were winding down as Jordan’s was taking off. They were clearly in their prime when Jordan showed up. Magic and Bird took the league by storm. Let me tell you, Jordan set the league on fire. Magic would tell anyone who listened that Jordan was the best player in the league. Bird even admitted after a playoff win over Jordan in his 3rd year that he was the best. It was the famous game where Jordan scored 63 points against the eventual champion Celtics. Larry Bird after the game said “I think he’s God disguised as Michael Jordan.” That’s high praise from a guy considered one of the best in the game at that time. Isiah spent most of his career being overshadowed by great players even though he was a great player as well. A lot people are going to wonder how I can put Isiah Thomas on a list with these players. Isiah was great, like him or not. He was clutch in big games. He got overshadowed by Magic, Bird and Jordan. He was extremely vocal about being overlooked. Isiah and Magic formed a friendship and he eventually burned that bridge. He said some extremely hateful things about Larry Bird. 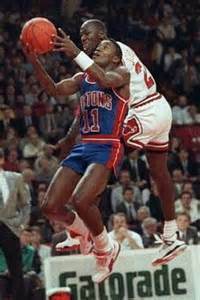 Isiah was very jealous of Jordan being a bigger star in his hometown of Chicago. Isiah and Jordan were on the same team during Jordan’s first All Star game. Isiah was a respected veteran in the league and Jordan was viewed as a hotshot. Isiah had players on their team freeze Jordan out and not pass the ball to him during the game. Isiah’s off the court issues tarnish his legacy. When people look past that, they will see he was big time. He’s one of a few players that have averaged 20 points and 10 assists per game in a season. He did it four times in a row. That’s amazing that he could score and get his team involved that much. He was never an MVP, but look at the guys winning the award when he played, Magic, Bird and Jordan. People hold it against him and as I’ve stated, the MVP award usually goes to the best player on the best team. Isiah’s teams were top 4 record wise for awhile, but never had the best record. Isiah however, was a Finals MVP. He has hit countless game winners and had huge playoff moments. He scored 25 points in a quarter of a Finals game against Magic’s Lakers on a bad ankle. He did it again in the Finals against the Portland Trailblazers. He led his team to back to back NBA titles. Is Isiah greater than Jordan in my eyes? No, but if someone brought his name up I can respect that with the others. They all want to be like Mike. There can only be one and he wears number 23. It's unfair that Lebron and Kobe will spend most of their careers compared to Jordan. They are great players in their own right but they aren't Jordan. 10 isn't enough but you get the point. He's awesome! I like Lebron James and think he’s a special player, but I don’t think he should be on this list yet. Lebron hasn’t always excelled in the biggest of games and that hurts his status to be considered the greatest. He often defers too much in late game moments. Lately he has stepped up and embraced it. I’d like to see him do more of that. 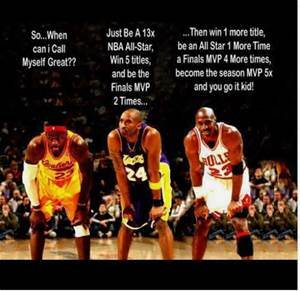 Fans love to compare Jordan and Kobe. I hate that comparison. Kobe is a great player like Lebron, but he’s not in Jordan’s class. Nor do I believe he deserves to be considered the greatest. I’ve been told I’m insane for thinking that. I know Kobe has 5 championships, but as I said earlier, they don’t always tell the story. 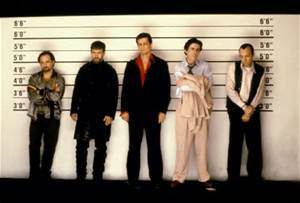 Kobe has great stats and is a great player, but I don’t think he measures up with some of the other greats. I think Lebron is a better player than Kobe. I say that because early in Kobe’s career, he was the second best player on his team. Lebron has always been the best player on his team and most of his career the best player in the league. Anyone who watched the Lakers when they won those 3 titles with Shaq and Kobe, knows Shaq was the best player on that team. Shaq won his MVP during that run and was the Finals MVP all 3 years of that run. Kobe’s numbers are similar to Jordan, but his impact on games were not even close. Jordan has an enormous amount of signature moments to pick from. The Shot against the Cavaliers to clinch a playoff series. 63 points in Boston Garden in a double overtime playoff game. Switching hands on a lay-up in mid air to avoid the long arms of Sam Perkins in the NBA finals. Going 6 for 6 on three pointers and scoring 18 points in the first quarter and then 17 points in the second in a Finals game against Portland. It’s the game known for Michael shrugging at the announcing team after hitting his 6th 3 pointer. Which he did to prove a point to the media. Before the series with Portland started, the media compared Michael Jordan and Clyde Drexler and said the players were similar and that Drexler was a better 3 point shooter. I said before he was an intense competitor and he took everything personally. Remember him having to be helped off the court after powering through a Finals win with the flu. How about the crossover and pull up over Bryon Russell to win his last championship. The list goes on and on. So what is Kobe’s signature moment? I asked someone that who tried to make the argument that Kobe is just as good as Jordan. He couldn’t think of one. I brought up Kobe’s 81 point performance against the Raptors, and he laughed. It was literally the best Kobe Bryant moment the two of us could think of. It was also the end of his Kobe is as good as Jordan argument. I didn’t write this to tell the world that Jordan is the greatest basketball player of all time. I did however write it to let people know that he is the greatest I’ve ever seen. My views on that won’t change until another player comes along that is greater. So far I haven’t seen that yet. Please comment and let me know who is the greatest player you’ve ever seen and why. Thanks for reading. As a converted MJ fan, I feel pretty objective about this topic. I wanted him to lose during the 1st 3-peat bcoz he beat Magic. After that, I had to come around bcoz if u can't beat them...join them. Didn't get disappointed again. To which other player had a team formulated their defense similar to the "Jordan Rules". Who among the NBA 2k player has prevented several HOF players from winning a ring? if you rate the greatest players ever by the number of rings they won this is the top 9. Bill Russell 11 rings Sam Jones 10 rings Tom Heinsohn 8 rings K C Jones 8 rings Tom Sanders 8 rings John Havlick 8 rings Jim Locutoff 7 rings Frank Ramsey 7 rings Robert Horry 7 rings. But you can't base it on rings. The Best ever was WILT! I agree with your comments about MJ. But I believe LBJ is the greatest for some of the same reasons. But people critize him for not looking like MJ on the court but his overall stats are equal to or greater than MJ. The only difference between MJ and LBJ is when Bron passes the ball to open teammates they miss the shot, they lose, he gets criticised for not taking the shot even thought it was the right pass. Mike passed the ball to open players, they made the shot and won, no criticism necessary. Check the stats. In a team sport your team stats make you great. Bron scored 51 pts, lost because of team stats. MJ score 30 pts, win because of team stats. I love Bron because no matter what, he knows he can't win in a team sport without his teammates being equal to him on the court, and that is what makes him the GOAT to Me. 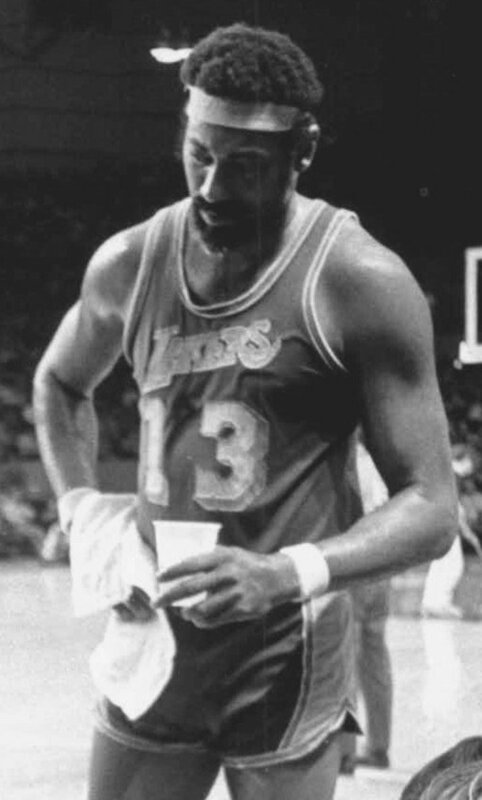 Jimmy T, wilt was a 7 footer playing against a bunch of unathletic 5’7” white guys most of the time. You did not see Wilt. He was the greatest of all time. I think the record book proves that. IMO MJ and Labron are tied for second place. Michael Jordan is the greatest of all time, because he had the ability to convince himself that it was more important for him to win than anyone else, and he played like it. Thanks for reading Thomas. I don't know about the Rockets beating the Bulls. I think LeBron is making a good case. Michael had great solo stats but when he became a team player he was unstoppable. Which is around the time he started when championships. I think that get's overlooked. 2 of his 6 championships had game clinching plays where he passed the ball for the game winning shot. That Lakers team was at the end of its run you can't overlook how good they were. Same with those Jazz teams. They weren't pushovers. They just ran into a seriously great Bulls teams led by Jordan. I think you can make an arguement for so many players being the best but Jordan is the best I have seen. Among wingmen, MJ is greater than Kobe because he played great defense more constantly and he was a more efficient scorer than Kobe. As a result, "Bulls" MJ outranks even Kobe minus his first two seasons and last three seasons (for fairer comparison). MJ outranks LeBron for now. MJ is more of a solo player, which lends itself to more Season MVPs, whereas LeBron proves that he is equally valuable whenever he leaves a team. If LeBron wins 3 Championships and 3 Finals MVP vs. the great Warrior teams, then his 5 championships, 5 Finals MVPs and great stats until age 35 would tie MJ in my book. MJ beating a crippled Laker team in '91 was easier and beating the Jazz in '97 was easier. It is unlikely that MJ's Bulls would have beat Olajuwon's Rockets two straight years because Olajuwon always dominated the Bulls and won more games against the Bull, even "with" MJ. That is why MJ named Olajuwon to his All-time best cents list. Your section named, "How do you determine who is the best NBA player? Is it statistics, championships or MVPs?" was spot on. Thank you. Fair enough. I never mentioned Gervin. The freeze out is what has been reported. Whether anyone chooses to believe it or not. I don't get the anger but ok. I have nothing but good things to say about Isiah on the court, but it's no secret he was jealous of Jordan, Magic and Bird. He had to no reason to be. I even say people should look past his off the court issues. When you're shooting 2 for 9 at one point in an all star game WHO IN THE BLOODY HELL would want to pass you the ball? That's what happened to Jordan in the supposedly "freeze-out" that people like you have called it. Young Jordan was not able to compete at his usual level that game and thata was it. Stop blaming Isiah and Gervin for that. can't really argue Edward. you make some great points. thanks for reading. yeah Bruce I agree to that..MJ is the greatest.not just by the stats,the rings,the MVP's,double doubles,triple doubles,most points in a game,performance in reg.season,playoffs and finals,and so with the defense..but overall and collectivly in all aspects of the game,he stands out from the rest..aside of the fact that MJ played in a more physical era,he also competed against not only hall of famers but widely considered as the TOP 10 GREATS OF ALL TIME! !like BIRD,MAGIC,HAKEEM,SHAQ and maybe KAREEM in his twilight..so the competetion back then was tougher.how about Lebon's era today? ?for sure many will become hall of famers someday..but I don't think that some of his competetors today will ever make it to the TOP TEN or even kickout some of the current TOP TEN..we never know,as of now,only KOBE is close to the TOP TEN,maybe 11th.that's why I can say that LEBRON is lucky enough to play in today's era.so what I mean is: we are expecting to see at least 2 from LEBRON's era like DURANT and KOBE to join the TOP TEN ALL TIME GREATS before we consider him the GOAT...if not,then LEBRON's era is so SOFT and can never be compared to JORDAN's.that should be brought up when it comes to GOAT debate..plus also this equation: greatness is equal to accomplishments over time..G=A/T that's the measuring stick.JORDAN accomplished a lot in less time.how much more if he had the opportunity like that of KOBE and LEBRON ? So true. You're right Artest bailed him out in that last game 7. It was Artest who hit those big 3s. Kobe almost shot the Lakers out of a championship. I don't trust anyone's basketball knowledge that thinks Kobe is even in the same league as Jordan. Kobe won his last title despite himself. He should thank Ron Artest for doing what Jordan, Bird, and Magic did constantly; showing up in the clutch. To be in Jordan's league, you do not wilt in the clutch. Thanks for reading. I appreciate the comment. It's just funny that I've met so many people that hate Jordan so much that they refuse to acknowledge he's one of the greatest. The greatest in my opinion. I just assume its a Jordan hangover. I don't get it but I guess that's the true test of greatness if there are equal number of people that love and hate you. Great hub Randal Bruce. Although my opinion may be a little biased, growing up in Chicago & watching the Bulls, but I agree he is by far the greatest I've ever seen. Don't think any player I haven't seen would change that opinion, old or new. Thumbs up on your hub.